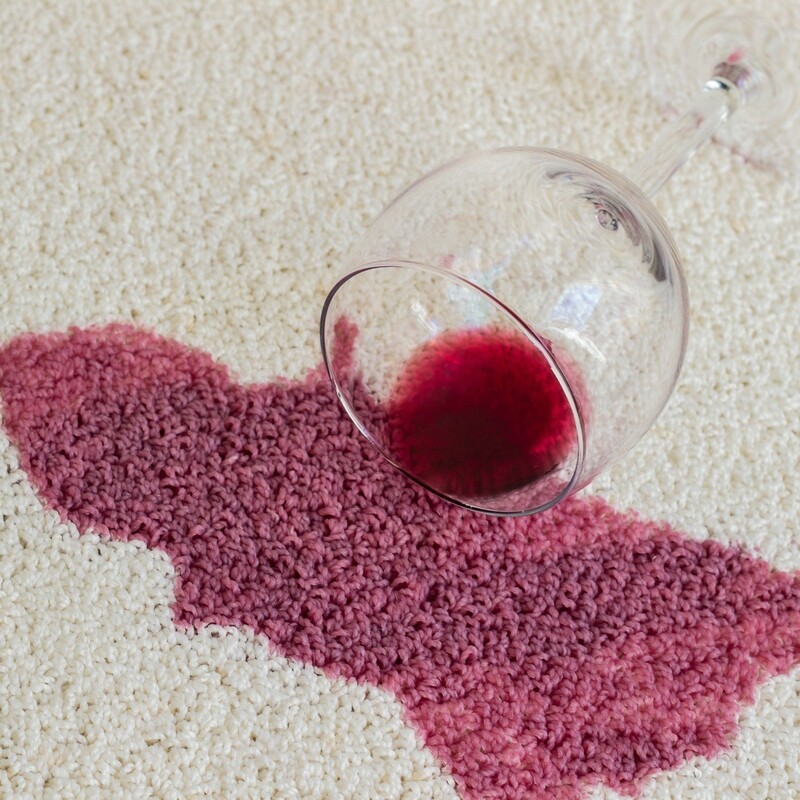 Rubbing alcohol is one of the best ways to get stains out of carpet. It can remove pet stains, rust stains and coffee stains. This guide contains DIY carpet cleaning tips and shows you how to get stains out of carpet using rubbing alcohol. Alcohol rubbed on carpet using white paper towels (no colors) has removed rust stains, coffee stains, and pet stains containing multi-colors from food. My husband dropped a glass of purple grape juice on a light gray carpet. I immediately blotted it up with white paper towels to remove liquid. I applied pressure to get up the rest, then I used alcohol and white paper towels. It completely disappeared! Straight rubbing alcohol will remove any stain from your carpet. It does not discolor the carpet and will remove poo, pee, pink sticky stuff, absolutely anything. And the best part is that it does not leave a soapy residue in the fibers. Any spot remover you buy will have soap in it and soap does not evaporate. It just stays in the carpet and collects dirt which will make the spot reappear. The alcohol evaporates! Simply put a dry white wash cloth over the top of the bottle, getting the cloth wet with the rubbing alcohol and rub on the spot. For a larger, deeper stain, you can carefully pour the rubbing alcohol straight from the bottle onto the carpet and rub the carpet with a dry white wash cloth. It's amazing and it's the cheapest stain remover you will ever find. I just used this tip! There were spots on the beige living room rug- dull black spots from who-knows-what? grease? old spill?). It was behind my couch where I had some stuff stored. This is a rental and I'm hoping to move out in a month or so. I didn't want carpet cleaning deducted out of my security deposit nor me to ruin the carpet maybe by spraying Resolve/chemicals on it! These stains were at least 2-3 years old though! I was worried!! Yes, using any soapy shampoo or cleaning product on your carpet does leave soap residue which only attracts more dirt and stains, and the old stains do come back usually! Thank you for posting this super-duper tip! Hugs and blessings from PA to you! Always keep a bottle of rubbing alcohol (very cheap). When you get a stain or spot on your carpet, dip a toothbrush in the alcohol and rub it out. Not only does it take out just about everything, because it is alcohol, it dries immediately.